Adiyen. On this auspicious purattAsi sravana subha dinam, with the divine grace of AchAryan, PoorvAchAryAL, AchArya pAdukAs, Swami Desikan and Sri Lakshmi HayagrIvan, Sri Thooppulmaal Sathsampradaya Sabha (STSS) is happy to share the article ஸ்வாமி ஸ்ரீ தேசிகன் வைபவம் ( svAmi srI dEsikan vaibhavam ) blessed by ஸ்ரீ உ.வே. 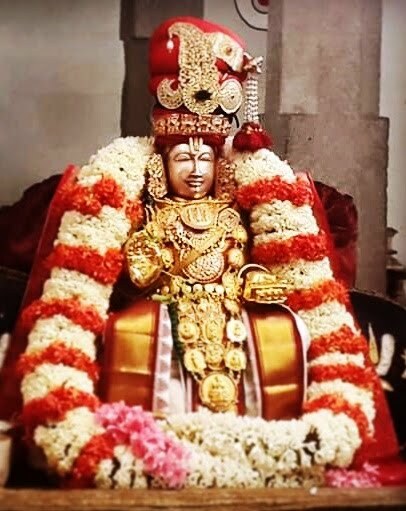 கோமடம் ஸ்ரீநிவாஸாசார்ய ஸ்வாமி, வைகுண்டவாஸீ ( Sri U Ve gOmadam srInivAsAchArya svAmi, vaikunTavAsi ). Adiyen’s sAshtAnga praNAmangaL to Swami for this parOpakAram.